England rugby union coach Brian Ashton and retired former captain Jason Robinson are among the sportsmen and women featured in the New Year Honours. Ashton, who guided England to the World Cup final in October, is made an MBE and ex-Sale skipper and rugby league great Robinson becomes an OBE. 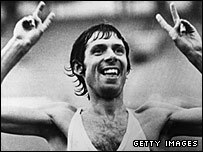 Brendan Foster, the 1976 Olympic 10,000m bronze medallist and founder of the Great North Run, is appointed CBE. 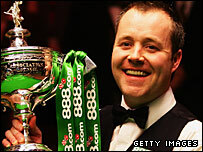 Snooker star John Higgins is made an MBE and broadcaster Des Lynam an OBE. Gordon Taylor, the long-serving chief executive of the Professional Footballers' Association, is made an OBE, as is former Arsenal goalkeeper Bob Wilson for charitable services through the Willow Foundation. "What do you make of the choices? Are there any worthy names left off?" Rachael Heyhoe-Flint, who captained England's women's cricket team to the inaugural World Cup title in 1973, also becomes an OBE. She was the first woman to sit on the committee of the formerly men-only Marylebone Cricket Club (MCC). Peter Jones, the former chairman of the Tote, is appointed CBE for services to racing. Brian Cookson, president of the British Cycling Federation, is made an OBE, as is Mick Gault, who won 15 Commonwealth Games medals in shooting. MCC head coach Clive Radley, ex-runner Derek Ibbotson and Frederick Seaward, head groundsman at Wimbledon, are all made MBEs. "This award is not just for me, but for all who have been involved and helped me throughout my rugby career"
Ashton, 61, the former head coach of Bath, took over the England reins from Andy Robinson in December 2006. After a mixed year and a poor start to the Rugby World Cup, including a 36-0 thrashing by South Africa in the pool stages, Ashton's men staged a defiant comeback, beating Australia and hosts France to reach the final, where they went down narrowly to the Springboks. Ashton was reappointed England coach on an indefinite contract following a comprehensive post-World Cup review. "I am honoured and privileged to receive an MBE," he said. "This award is not just for me, but for all who have been involved and helped me throughout my rugby career." Robinson, 33, had already been made an MBE after helping England to win the 2003 World Cup. He made 281 appearances for Wigan and won 12 Great Britain caps before switching codes to join Sale Sharks in 2000. The full-back, wing and occasional centre won the first of his 51 England caps the following year. He scored the only try in England's World Cup final victory in Sydney and was made captain in place of the injured Jonny Wilkinson in 2004. Robinson, nicknamed "Billy Whizz", retired from Test rugby in 2005 but was persuaded to return by Ashton at the beginning of 2007 through to the end of the World Cup. Robinson also skippered Sale to the Premiership title in 2006, and was selected for two Lions tours. Ashton said of Robinson: "He has contributed so much to both union and league. I am delighted for him. He thoroughly deserves his OBE." Foster, who will be 60 on 12 January, was made an MBE 31 years ago in recognition of his achievements in athletics, including his Olympic bronze in Montreal, where he was the sole British track medallist. He also broke the two-mile world record in 1973 and the 3,000m record in 1974, as well as clinching European 5,000m gold in 1974 and Commonwealth Games 10,000m gold in 1978. "I'm delighted at receiving the CBE but I would like to share this award with the 900,000 runners who have made the Great North Run such a huge success"
After retiring from athletics following the 1980 Moscow Olympics, he forged a successful career as an administrator and broadcaster, but is most proud of the Great North Run, which he established in 1981. "I'm delighted at receiving the CBE but I would very much like to share this award with the 900,000 runners of all abilities who over the years have made the Great North Run such a huge success," said Foster. "Never in my imagination did I or my co-organisers realise that, after 12,500 finishers at the first event what now seems a lifetime ago, it would become so immensely popular." The 32-year-old Higgins, nicknamed "the Wizard of Wishaw", turned professional in 1992 and won the world title in 1998 and 2007, as well as losing in the 2001 final to Ronnie O'Sullivan. "When I was asked if I'd like to receive an MBE, I was just stunned," said Higgins. "As a snooker player you don't expect awards like these. I'm just delighted. It's fantastic, a great thing to have." Veteran commentator Lynam, 65, is honoured for nearly four decades of broadcasting on sport for both the BBC, ITV and most recently Setanta. He also presented Channel 4's Countdown series for a year. "This has been a splendid surprise and I feel truly privileged," he said. The 63-year-old Taylor has worked for the PFA full time for the last 27 years since he succeeded Cliff Lloyd as secretary in 1980. He said: "This is a nice honour for me personally and it is also lovely recognition for the PFA in our centenary year." Kate Allenby, who won modern pentathlon bronze in the 2000 Sydney Olympics, is made an MBE for services to sport alongside Ivor Powell, the world's oldest active football coach. The 91-year-old, a professional with Aston Villa, QPR and Blackpool and the winner of 14 Wales caps, has worked as a football coach at the University of Bath for more than 30 years. "I've been in football for more than 70 years and I've thoroughly enjoyed every moment of it," said Powell, who had legendary Blackpool winger Stanley Matthews as the best man at his wedding. "I'm 91 and I've still got something left in me to give. I'll stay in the game as long as I'm enjoying it." Another veteran football coach honoured with an MBE is former Sheffield United and England goalkeeper Alan Hodgkinson. Now 71, he has worked as goalkeeping coach with England, Scotland, Manchester United, Rangers, Manchester City, Everton, and currently Oxford United. Recipients of honours are nominated by government departments, private sector organisations and individuals, and decisions are made by committees within the Cabinet Office. Brendan Foster, founder Great North Run, services to sport. Peter Jones, former chair Horserace Totalisator Board, services to racing. Brian Cookson, president British Cycling Federation, services to sport. Doug Dailey, former national British cycling coach, for services to the sport. Rachael Heyhoe-Flint, services to cricket. Bob Wilson, former Arsenal goalkeeper, charitable services through the Willow Foundation. Michael Gault, services to shooting. Maeve Kyle, chair of Coaching Northern Ireland, services to athletics. Patrick Littlejohn, services to mountaineering. Desmond Lynam, sports commentator and broadcaster, services to sport. William Macdonald, chief executive British Racing School, services to the horseracing industry and to disadvantaged young people. Diana Mason, services to equestrian sport. Jason Robinson, former England and Sale Sharks rugby captain, services to sport. Gordon Taylor, chief executive Professional Footballers' Association, services to sport. Katherine Allenby, former chair British Athletes' Commission, services to sport. Brian Ashton, head coach England rugby union team, services to sport. Paul Bielby, founder Master Skills Football Academy, Darlington, services to young football and children in County Durham. Joy Cochrane, services to hockey in Essex. Sally Edie, head of sports programmes and sports development, University of Surrey, services to higher education and to sport. Joan Haxby, keep fit teacher, services to physical fitness in Kent. John Higgins, services to snooker. Alan Hodgkinson, services to football. Derek Ibbotson, services to athletics. Ronnie McFall, manager Portadown FC, services to fooball and to the community in Northern Ireland. Alexander Naylor, services to athletics. Ivor Powell, coach Team Bath FC, services to sport. Clive Radley, head coach Marylebone Cricket Club, services to sport. Pauline Rayner, chair Thames Rowing Club, services to sport. Frederick Seaward, head groundsman All England Tennis and Croquet Club, Wimbledon, service to sport. William Stewart, chef de mission Commonwealth Games, services to sport in Northern Ireland. Gerry Storey, services to boxing in Northern Ireland. Janet Wrighton, director for Europe International Federation of Netball Associations, services to sport.